2018 YA Fiction Book Award Semi-finalist…Aussie author hopes for win! December 3, 2018 January 26, 2019 Categories Me as an authorLeave a Comment on 2018 YA Fiction Book Award Semi-finalist…Aussie author hopes for win! 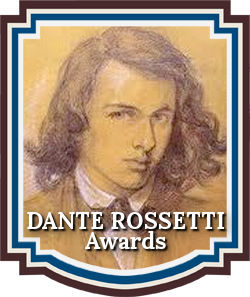 This year has been super exciting as my book nomination has moved from the slush pile of nominees, to the long list, and now on to the semi-finalist list for the 2018 Dante Rossetti Book Awards for Young Adult Fiction! Having this year won three FIVE STAR awards from Readers’ Favorite International for my new YA Fiction series, and the Gold Award for YA Fiction from the Global ebook Awards, I’m hoping to make it a hat trick and also receive this great award for emerging talent! Now to keep praying to those book gods that the judges enjoy my book enough to move me on to the short list! But, if not, it has been a fun ride, has been lovely to be recognised up to this point, and I know that my fans still love my work! Good luck to all my fellow semi-finalists in these next final rounds of judging! Previous Post Christmas Competition Special! Win a copy of The Change Series trilogy!